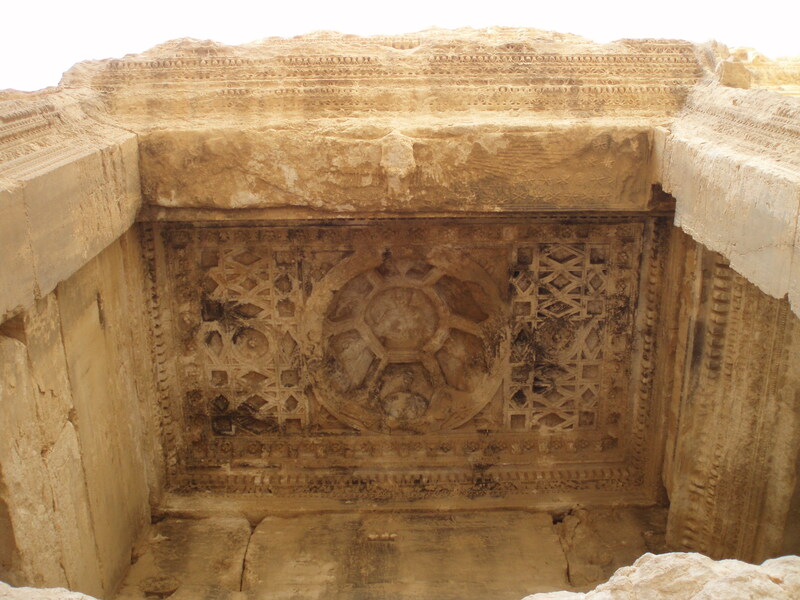 This carved block at Palmyra pre-dates the advent of Islam by four centuries, and is thought to show the world’s earliest representation of veiled women, top right. 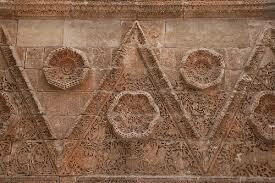 It is one of the countless examples of how practices we now consider Islamic were often traceable to pagan times. 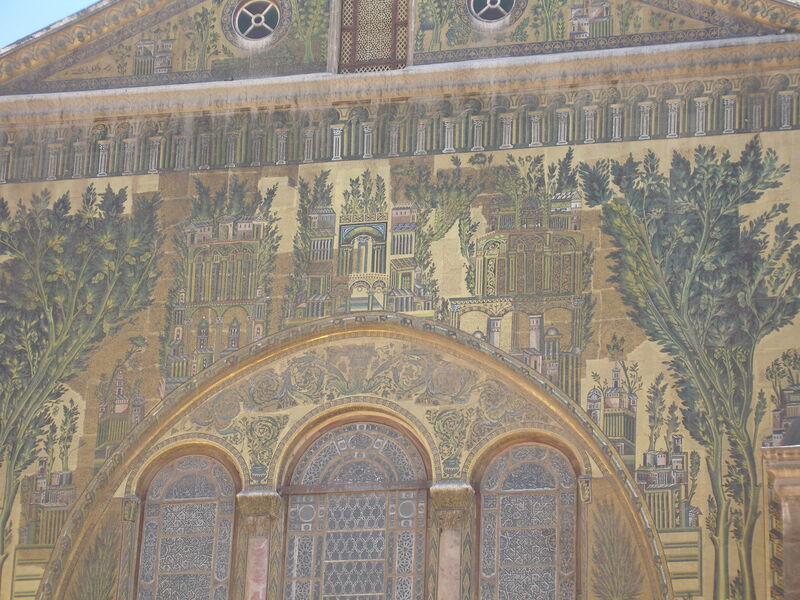 The early Muslim armies captured Damascus in 636 just four years after the death of the Prophet Muhammad, and went on to make it the capital of their Umayyad Caliphate. It was the first encounter Muslims had with cultures of the Eastern Mediterranean and Mesopotamia, cultures which were themselves the products of rich intermingling of Babylonian, Assyrian, Egyptian and Persian influences and which had in turn been under Greek and Roman influence for centuries. Commerce, as ever the driver of human inter-action, was thriving as new trade routes evolved, while religious and cultural trends co-existed. 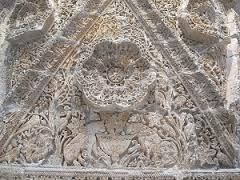 The Umayyad Caliphate, far from seeking to ban or wipe out this multicultural heritage of earlier empires and civilisations, simply took over the existing infrastructure from the previous Byzantine and Sassanian rulers, going on to develop its own unique contribution to the art and architecture of the region. The Umayyads absorbed and adopted the customs of the cities they conquered. With the fall of borders, they unified the region thereby encouraging additional cross-fertilisation of ideas and artistic traditions. The results can be seen in all their buildings, from Jerusalem’s famous Dome of the Rock to the lesser known desert palaces like Mushatta (see photos below) and Khirbat Mafjar now scattered all over the deserts of Jordan, the West Bank and Syria. 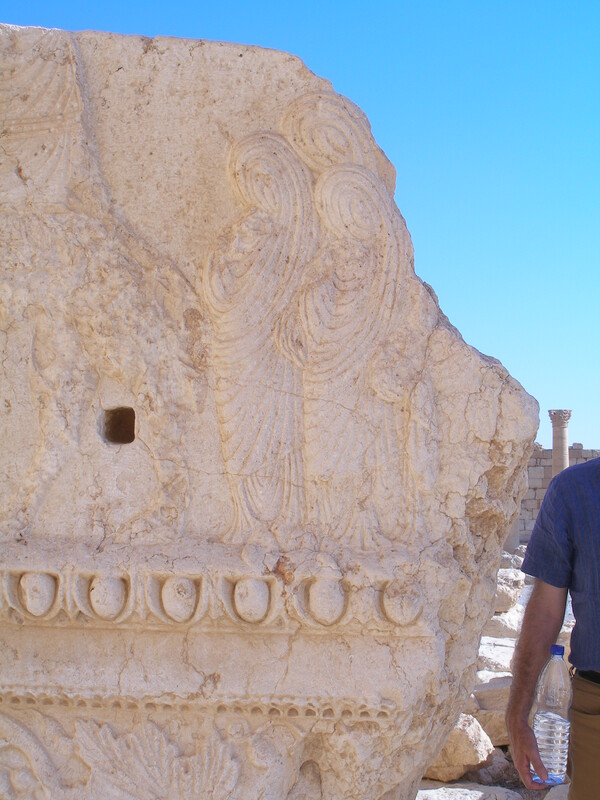 When it comes to the case of Palmyra, this rich cultural legacy is especially clear. 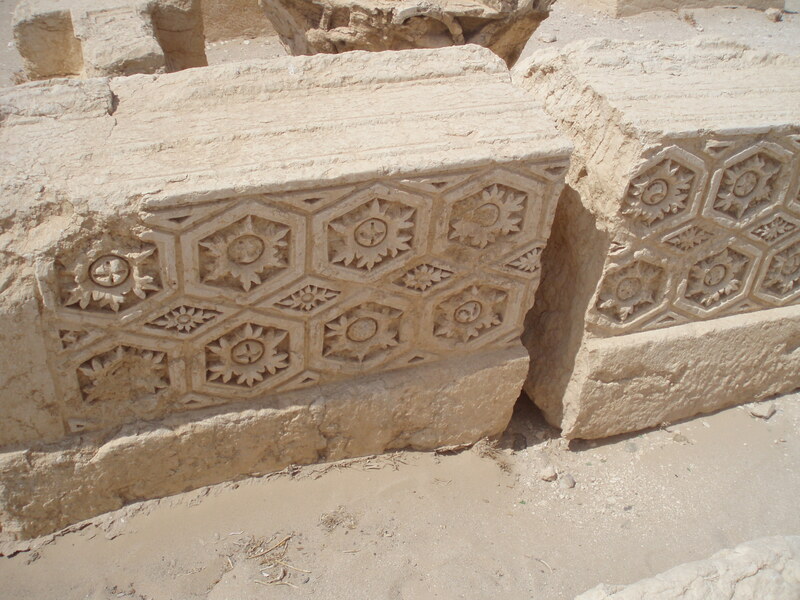 The carved stone blocks carry motifs of flowers, including the famous Palmyrene Rose, ringed with acanthus and lotus leaves. The Palmyra drawings by English architects Wood and Dawkins went on to influence directly the classical revival of the 18th century, where Palmyrene roses are often to be seen on the ceilings of grand British country houses. 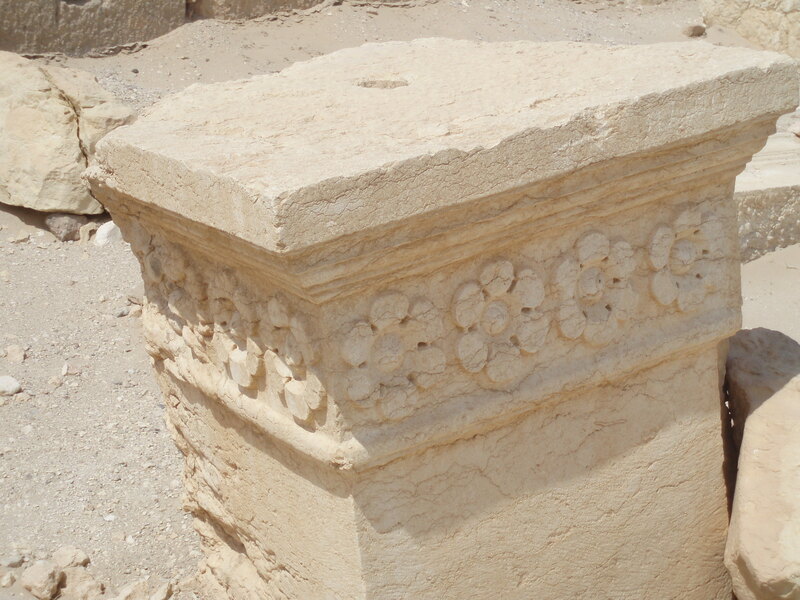 The Umayyad desert palace of Qasr al-Hayr al-Sharqi which stands in the desert some 100km northeast of Palmyra, has a mosque which incorporates columns and capitals brought from the site of Palmyra. 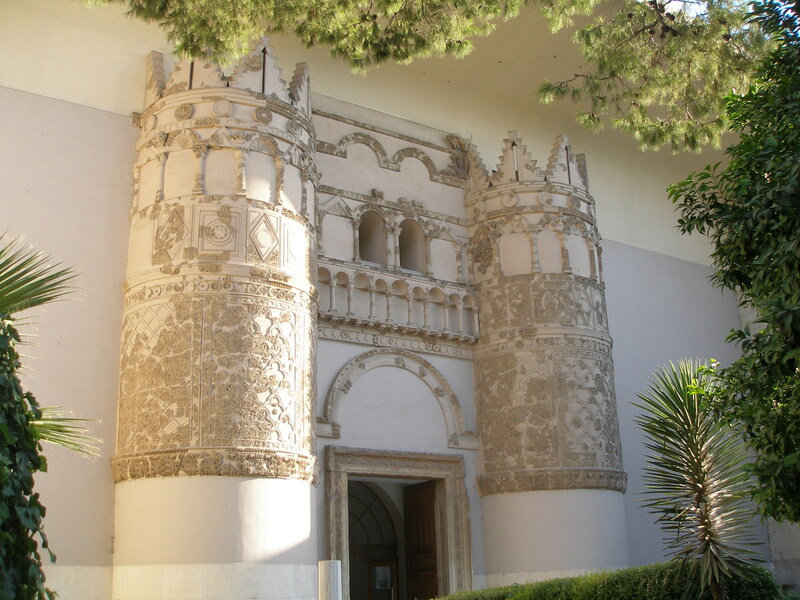 The architecture of its monumental gateway displays an eclectic mix of Byzantine, Mesopotamian and Persian styles, with many recycled Roman and Byzantine capitals. Its twin, Qasr al-Hayr al-Gharbi, which lies in the desert 80km southwest of Palmyra, likewise boasted a monumental 8th century facade, now incorporated into the modern entrance of the Damascus National Museum. 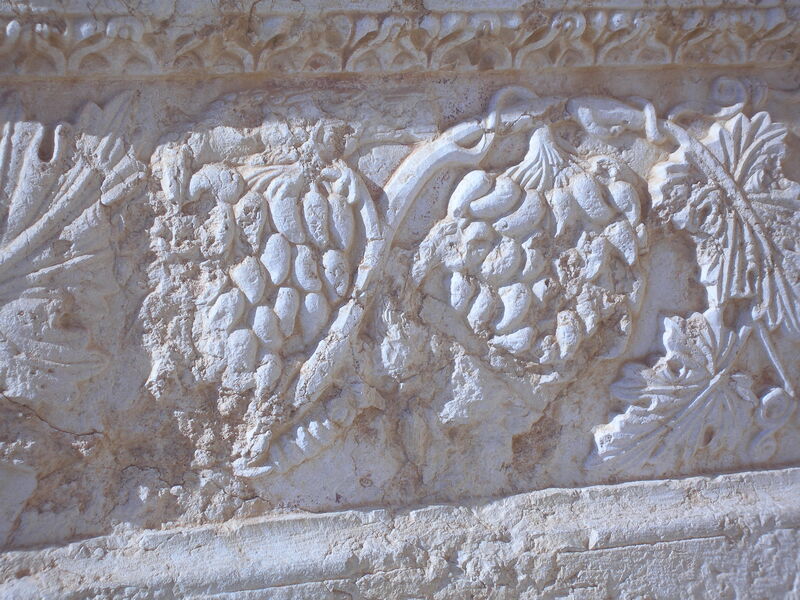 These fusions are clearly visible in the vine scrolls, the bunches of grapes symbolising wealth, fertility and prosperity in both the stone carvings of Palmyra and the decorative patterns of the Umayyad palaces, not to mention later Islamic tile patterns. Mythical creatures like griffins, together with birds like peacocks and eagles, animals like gazelles and lions are often found entwined in the Tree of Life, an ancient concept pre-dating Islam by centuries, yet all such motifs are still found on the borders of prayer rugs across the Muslim world. If ISIS claims that such things are idolatrous, it would also have to destroy most of the Islamic carpets and tiles of the Middle East. 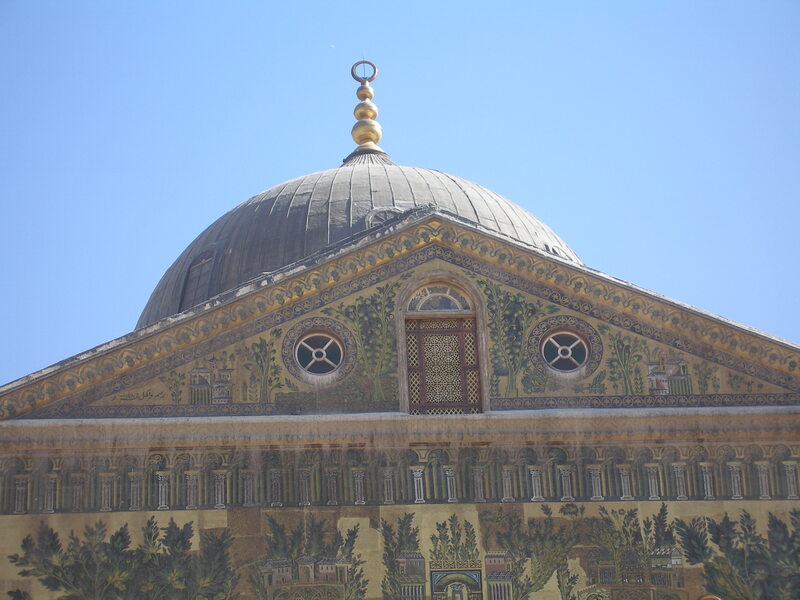 And what of the many mosques across the Muslim world that were built on the foundations of earlier churches and temples, such as the Umayyad Mosque of Damascus? 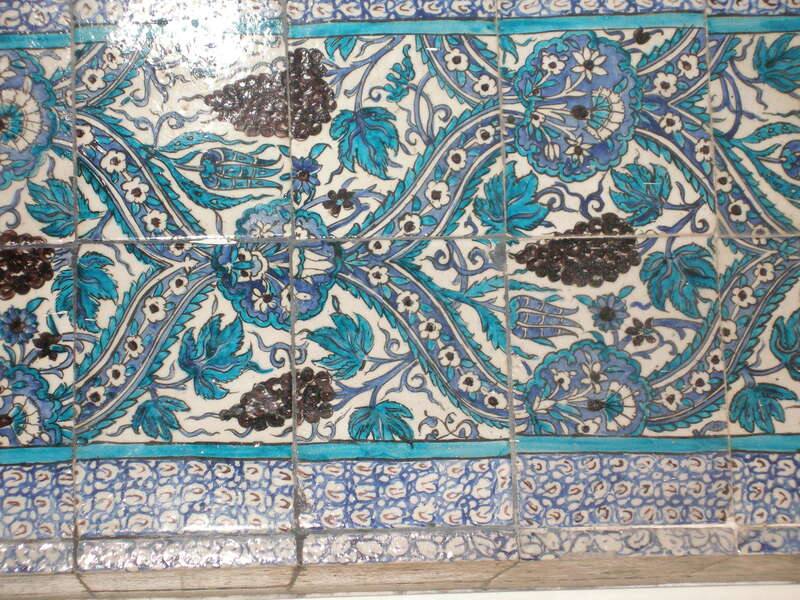 Would they too have to be destroyed, like these early Islamic mosaic visions of fantasised trees and palaces? In the nihilistic vision of ISIS there is, it seems, no room for diversity. They have set their course on the total destruction of relics from earlier cultures, thereby denying the roots of the very Islamic civilisation to which they claim to be returning. By destroying Palmyra, they will be destroying their own roots, ensuring their own eventual downfall, since a caliphate devoid of culture cannot endure. What a perfect contradiction. Thank you, Diana, for another important, mind opening posting.